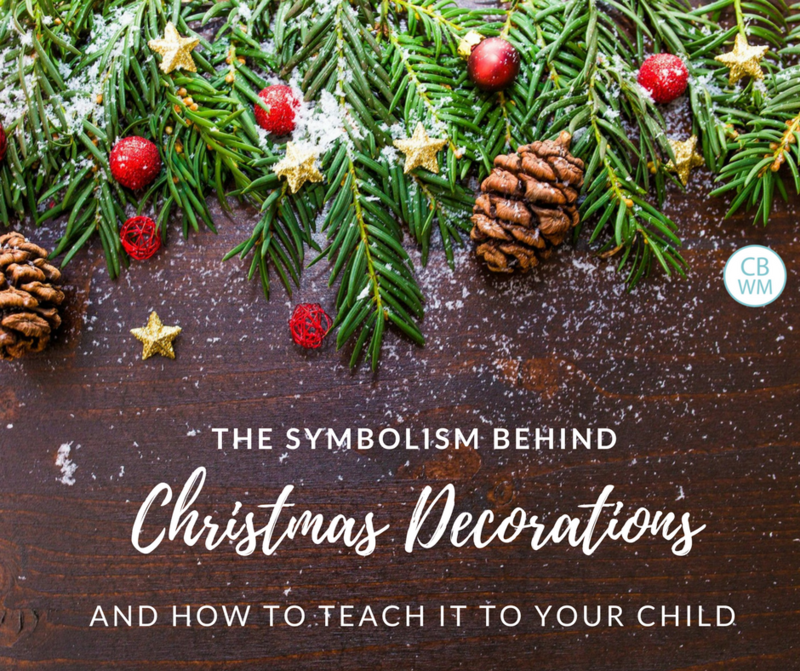 The Symbolism Behind Your Christmas Decorations. 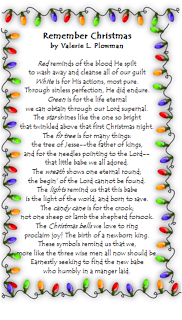 Understanding what the Christmas symbols stand for. You can teach these to your children to help them think about more than gifts at Christmas. I have always loved to decorate my home, and at holidays, it is no exception. I am big into intentional decorating and using symbolism when I decorate, so decorating for Christmas is extra exciting for me. Most of the decorations we use for Christmas are actually rooted to symbolism. 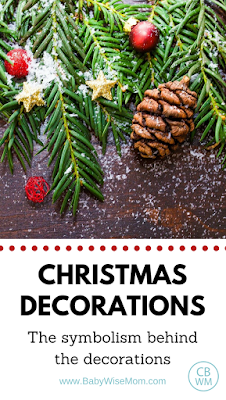 The colors, shapes, and choices of common decorations are not all random. 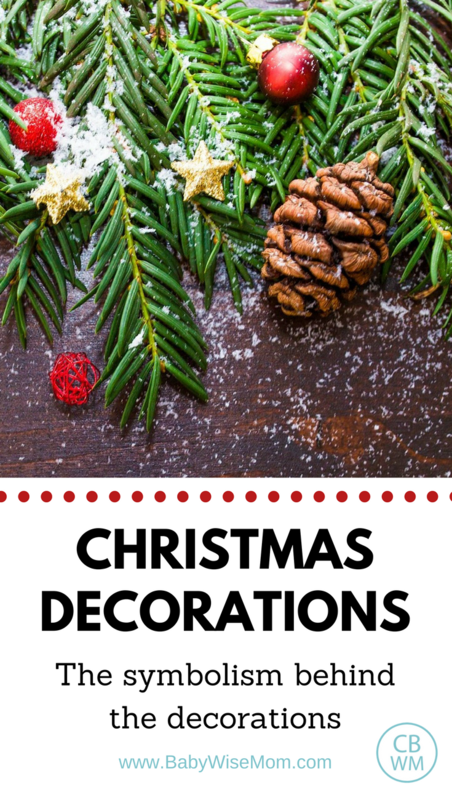 Here are the common decorations used at Christmas and what they symbolize. These are symbols to note this Christmas season. Talking about these can help you and your family keep in mind the meaning of Christmas. Red is for the blood of Jesus Christ, spilt to cleanse the sins of men. The red reminds us that the birth of the Savior, the person we celebrate Christmas for, is significant because of what he did with his life. He gave it for you and me. White is for purity. Jesus Christ was pure, perfect, and without blemish. Green is for everlasting life. Green is a color of life, and green in the bleak of winter means life year round. This translates to eternal life. We have green in Christmas trees. When you decorate your Christmas tree, talk about what green means. The star is probably an obvious one for those who are familiar with the story of the birth of Jesus Christ. It is to symbolize the new star that came out the night of Christ’s birth, a sign that baby Jesus was born. The Christmas star reminds us of the sign of the birth of Christ. Just as green symbolizes everlasting life, the evergreen tree can be a symbol of that, also. It is more than that, though. A fir tree, or Christmas tree, has needles that point up, toward Heaven. A wreath is a circle, and just as eternity has no beginning and no end, a circle has no beginning and no end. We have lights because Jesus is the light of the world. The candy cane symbolizes the the crook of the shepherd. Humble shepherds were the ones the angel visited to announce the birth of Jesus to. They also herd sheep. The symbolism of lambs and how they tie to Jesus Christ is so vast that an entire book could be written on the topic. You can also turn the candy cane upside down to make a “J” for Jesus, and the colors of red and white on the can are by no accident nor coincidence. Bells announce things and are joyous. Just as bells proclaim things, we can proclaim that Jesus Christ was born. We give Christmas gifts in honor of the wise men who brought gifts to Jesus. It is also a fun way to celebrate the birth of Jesus. We give gifts to others as a way to give a gift to Him. It is good to keep in mind that loving and serving others is the greatest gift of all. the begin’ of the Lord cannot be found. That year, we gave out the poem plus a bag of goodies for each item to our friends and neighbors. This is a fun way to help your child really internalize the symbols more AND to do some service. Star: We used starburst candy. You could also buy a star ornament for each person–or even cut a star out of paper. Fir Tree: I found some cute tree suckers at Dollar Tree. It had a star and lights (or ornaments) on it, so it could work for many things for you. Wreath: I went with chocolate cookies that are round. They also sell jelly filled chocolates at Christmas time. You could do a doughnut and even put green dyed coconut on it. Lights: I just put lights around the poem, but you could get a strand of lights out or use little flashlights. Bells: I put a little bell in each bag.